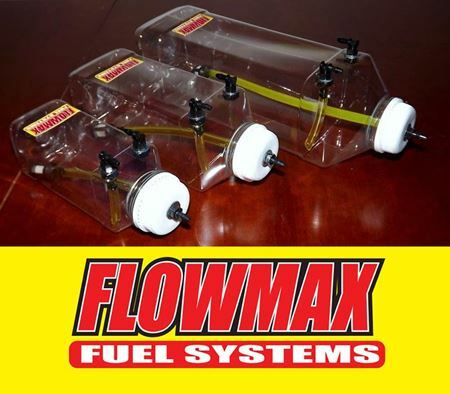 Flowmax Fuel Systems tanks will tolerate of all know Petrochemicals so whatever the modelers requirements it can now be accommodated whether it be Nitro/Glow, Jet1A/Kero, Smoke fluids or Petrol of course. 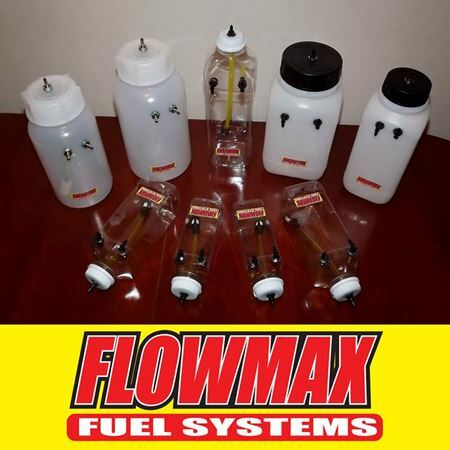 The manufacture uses the latest and first grade Aerospace materials, all tanks are pre-assembled, sealed and pressure tested for ease of installation and optimum performance. 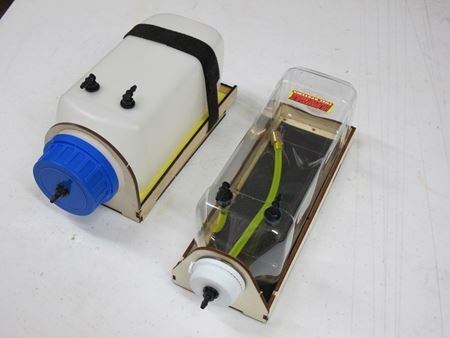 Each Tank Kit comes with a foam mounting pad, Velcro strap and 1 meter of the appropriate tubing for complete and trouble free installation. With a large range of capacities they are available as a see through ‘Lightweight’ version and semi opaque ‘Heavy Duty’ versions in either rectangular or round. Please take care when ordering to specify your application as the materials used in their construction will vary accordingly and are not interchangeable.